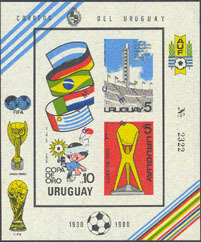 5462 SPE URUGUAY (1980) Soccer*. Flags*. Imperforate S/S overprinted MUESTRA. Michel Block 50.